Meridian — Ethan Bingham is getting his hands dirty while learning the ins and outs of tractor operations and diesel mechanics. The 18-year-old wants to run his own mechanic shop someday in his hometown of Bruneau. “I’d rather have a job where I can play, than go to work and be miserable,” said the Rimrock High School senior. 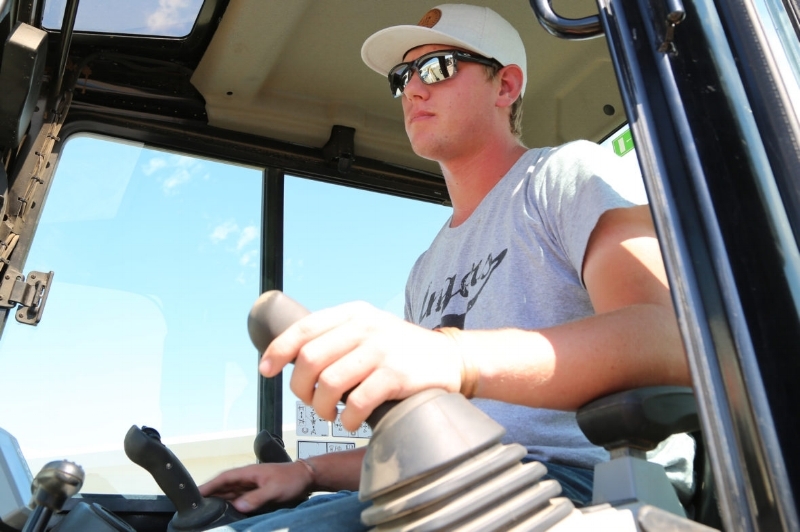 He has been driving tractors since the age of 8 on his family farm, but couldn’t turn down an opportunity recommended by his high school counselor — a Western States CAT Diesel Tech Boot Camp (https://www.westernstatescat.com). A three-day camp that allows students to learn and explore career paths through company tours and hands-on learning opportunities. The camp is hosted by the Pathways To Early Career High School program (or PTECH). Ethan is among seven teens from Bruneau and Jerome who participated in the camp. Students explore different types of machinery, wired light bulbs and maneuvered a hydraulic system. Ethan plans to study at the College of Southern Idaho in the diesel technology program after high school. Life After PTECH: "I Love My Job"